Look what's coming from Moonstone...a new Black Bat novel by Ron Fortier with interior illustrations by Rob Davis. Airship 27 Productions is damn happy to announce the release of writer B. Chris Bell’s newest collection of Bagman stories. Sure to be welcome news to all our Chicago based pulp fans as that is the character’s home base in the 30s. A new gang boss is taking over the meat-packing district of Chicago and his tools are murder and intimidation. He calls himself the Butcher and the trail of death and destruction he leaves in his wake is a testament to that moniker. Now it will take all of the Bagman’s skills and know-how to unmask this savage foe and save the streets of the Windy City from a new and bloody gang war. 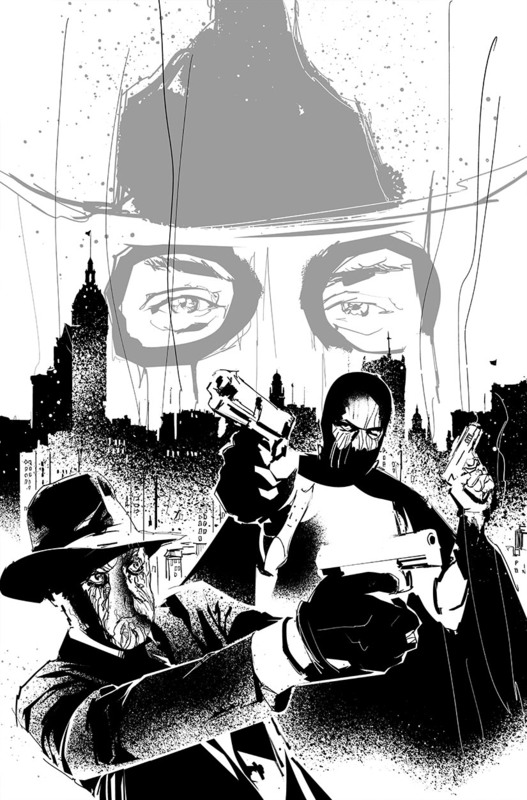 Writer B. Chris Bell unleashes a trio of brand new adventures featuring his sarcastic 1930’s hero who wears a burlap sack over his head and fights for his neighborhood streets. 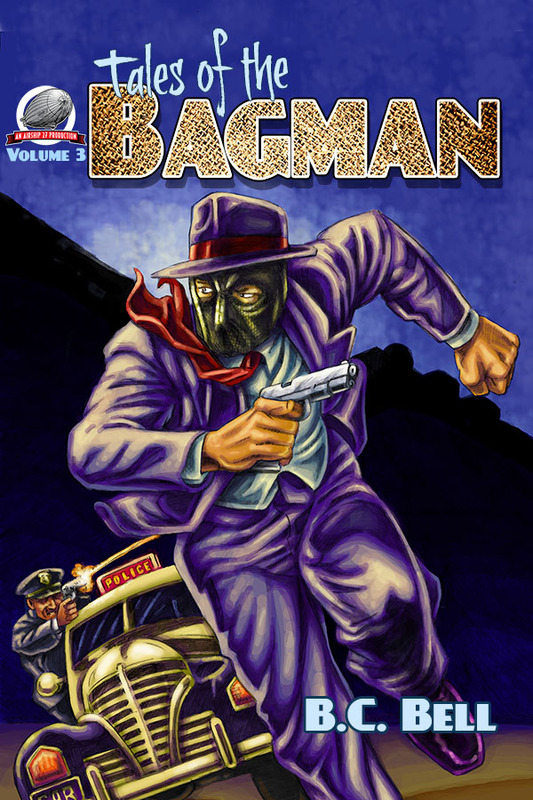 Added to this volume’s roster is a mystery involving the kidnapping of newsboys and in a third story, Bagman’s trusted ally and driver, Crankshaft, is featured in a solo short. Canadian artist Art Cooper, joins Airship 27 Productions for the first time with his wonderful black and white illustrations. Cooper has a Jack Kirby style of drawing that is perfectly suited to the pulps. Art Director Rob Davis provides the cover logo and composition with final art painting by New Zealand’s own Shane Evans giving the book a truly international creative team. 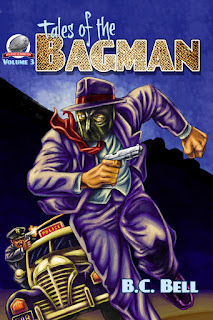 Here is pulp action in a truly unique style starring one of the most original new pulp stars ever put to paper, the Bagman!